Metal types: Solid 316 grade stainless steel. 10 ring polished. Quote or simply copy & paste the reference below, omit attachment fixtures which are not applicable to your preference. 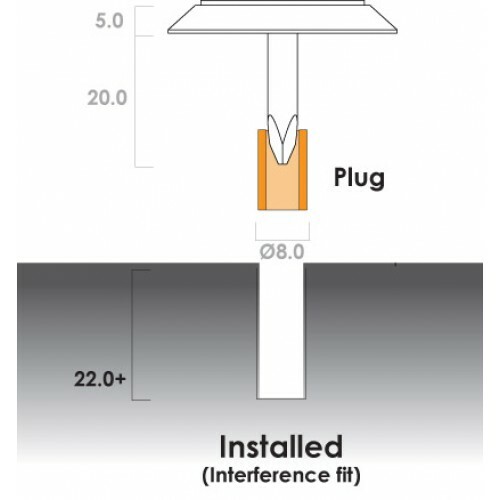 Adelaide Tactile AT 211 discrete, the attachment fixture is to be Drill & Lock 8mm Diameter x 12mm long Spigot with plug.